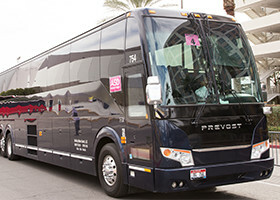 When it comes to planning events at major convention destinations across the United States, one of the most important aspects of the entire process is ensuring that appropriate airport transportation options are in place for those attending, including any airport limo services for clients who inquire about it. 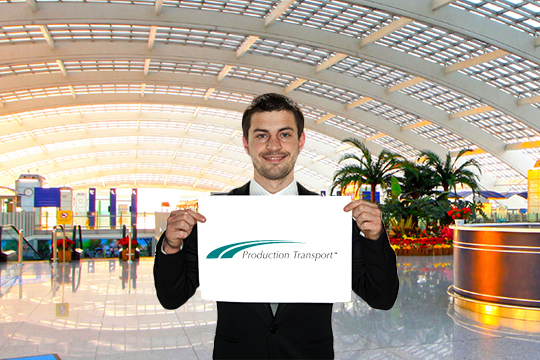 At Production Transport, we have over 30 years of experience making sure that each one of your guests has a simple and stress free transport experience upon arrival and when they’re ready to head home. However, our first class experience doesn’t just entail sourcing, organizing, and directing the transport services. We’ll set up meet and greet programs for your arriving delegates at destinations across the airport, so no one needs to worry about getting left behind. This also means upon departure, the airport shuttle will take people to the drop off point that fits their need best. From beginning to end, Production Transport will help provide one of the most seamless event and airport car service experiences you’ve ever been a part of. 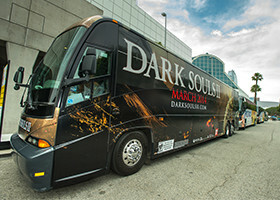 We provide the premier shuttle bus and ground transportation for events, conventions and trade shows in some of the most popular and visited cities throughout the United States and Canada. We have over three decades of experience working with planners and convention centers organizing transportation operations, on-premise management, and giving an unconventional level of preparedness and performance. We take pride in the safety, security and professionalism that is necessary in this is ever-changing world. Your complete satisfaction is our priority, which is why we make sure to provide high quality customer service. In most of the large event and convention cities, we’re able to provide airport shuttle service on an individual ticketed basis for the attendees. The buses depart the convention center or meeting site at pre-scheduled times. Patrons may reserve their seat in advance and buy their ticket, or this value added service may be provided by meeting or show management. No matter your group size, whether it’s 100 or 10,000, we provide premier shuttle services that will run throughout your event. Our reliable, safe, and knowledgeable drivers will ensure that every attendee gets where they need to be on time. 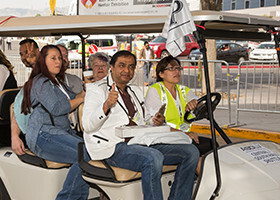 With so many people attended some of these events, it’s a great opportunity for exhibitors to utilize a number of sponsorship opportunities, such as full size shuttle wraps, golf cart toppers, DVD services, and even shuttle headrests. As part of our full transportation solution, our team will also procure an appropriate number of both electric and gas golf cart shuttles for any of your attendees throughout the duration of the event so they can quickly move from A to B. All of your attendees are important to us, but we understand that every event will have VIPs that require their own forms of transport. 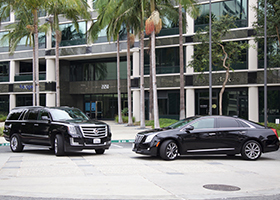 Whether they’re looking for luxury sedans, a VIP shuttle, limos, SUVs, minibuses, or more, we’ll make the arrangements.